Of course I missed the first band, California Guitar Trio, because of the always annoying traffic jams… So, the first band for me was ENCHANT; and it was a real pleasure to see these guys again. It was five years ago that they played here together with Dream Theater then. A couple of albums later and much more experienced they gave the Dutch audience an excellent show. With “newcomers” Bill Jenkins (keyboards) and Sean Flanegan (drums) Enchant now have two more great musicians, and these guys definitely improve the musical level of the band, if I compare this show with the one they gave five years ago…The new album “Tug Of War” is again a beauty and maybe their most complex and melodic album so far, so I really was looking forward to this gig. They kicked off with “The Thirst” , the first track of their debut album, followed by the opening song of the new album “Sinking Sand”. 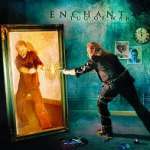 These two songs immediately showed the strength of Enchant; melodic prog rock with outstanding guitar passages by Doug and wonderful vocal parts of Ted; his voice is getting better and better. Moreover Ted is a singer who really shows his emotions during a song; he really gets into them; if you know what I mean. Further highlights of the set were “Monday”, “What To Say” and the always magical song “Below Zero”. Next year these guys want to make a headline tour in Europe; let’s hope it will come to that and then we can enjoy Enchant much longer than this evening (50 minutes only!!). 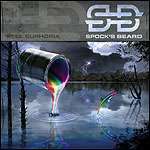 SPOCK’S BEARD has been here several times, but this would be the first show without Neal; so for the audience, as well as for the band, it was pretty exciting…..Of course these guys are all excellent musicians and they proved that with the album “Feel Euphoria”, but still I noticed that there was a certain tension in the air….However right from the beginning, as they opened with “SID”, the tension was gone and Spock’s Beard proved they are still an amazing prog rock band. At first it was a bit strange to see Nick as the lead singer and front man of the band, but his singing was so good that you almost forget that he normally used to sit behind the drum kit. “Shining Star”, “East Of Eden”, “Onomatopoeia”, “The Bottom Line” and “Sid” were the new songs tonight. As for the old stuff they played “Thoughts” an amazing “Snow” medley and as encores two of my favourite old Beard songs “The Doorway” and “Go The Way You Go”. This was without a doubt again a wonderful live show of one of the best prog/symphonic rock bands of our time. Now let’s see if Neal can top this show on the 17 November when he will be playing in the best rock venue of The Netherlands; 013 in Tilburg.